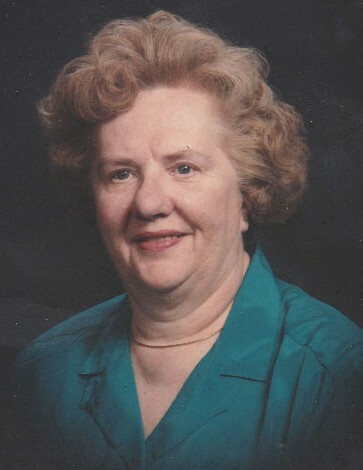 Gallupville- Ramona Tryon, 92, of Early Woodlands, Cobleskill, formerly of Gallupville, died Wednesday, November 28, 2018 in Our Lady of Mercy Life Center in Guilderland. Ramona was born January 13, 1926 in Albany, the daughter of Edward and May (Haverly) Manchester. Ramona worked for a short time at GE and served as Town Clerk and Tax Collector for the Town of Wright. She is best known for her artistry as a craftswoman, folk artist and proprietor of The Hook and Shuttle in Gallupville, NY. Knitting, crocheting, quilting, tole painting, weaving and rug hooking were among her many skills. Some of her work was displayed in the Metropolitan Museum of Art in New York City. She taught rug-hooking classes for several years and her most cherished hooked piece on Schoharie County is on display at the Carlisle Town Hall. She enjoyed playing canasta weekly with several of her friends. Ramona was deeply interested in genealogy and authored a book, Haverlys of the Helderbergs. She was a member of the Gallupville Methodist Church and its’ Ladies Aid along with the Gallupville Fire Department Auxiliary. In her younger years, Ramona was a member of the Knox Cave Roller-skating Club that traveled throughout the area. Cherishing her memories are her two sons: Ronald (Margie) Tryon of Esperance and John (Bonnie) Tryon of Cobleskill; five grandchildren: Sarah (Paul) Lunde of Schoharie, Matthew (Jennifer) Tryon of Holland Patent, Tracey (Brian) Poole of Oriskany Falls, Andrew Tryon of Boston and Lisa (Kevin) Kane of Canajoharie and seven great-grandchildren: Brienna, Makenna, Kierra and Brayden Lunde, Lucas and Emma Poole and Jaxon Kane. A funeral service will be held at 11 AM on Saturday, December 1, 2018 at Mereness-Putnam Funeral Home, 171 Elm St. Cobleskill. Pastor Wally Plock will officiate. Family and friends are also invited to a period of visitation to be held at the funeral home from 5 to 7 PM on Friday, November 30, 2018. Burial will follow the service in Old Stone Fort Cemetery, Schoharie. Ramona and her family ask that memorial contributions, in lieu of flowers, may be made to a charity of your choice.